“It takes a man to suffer ignorance and smile, Be yourself no matter what they say.” – Lyric from An Englishman In New York, written by Sting about Quentin Crisp. 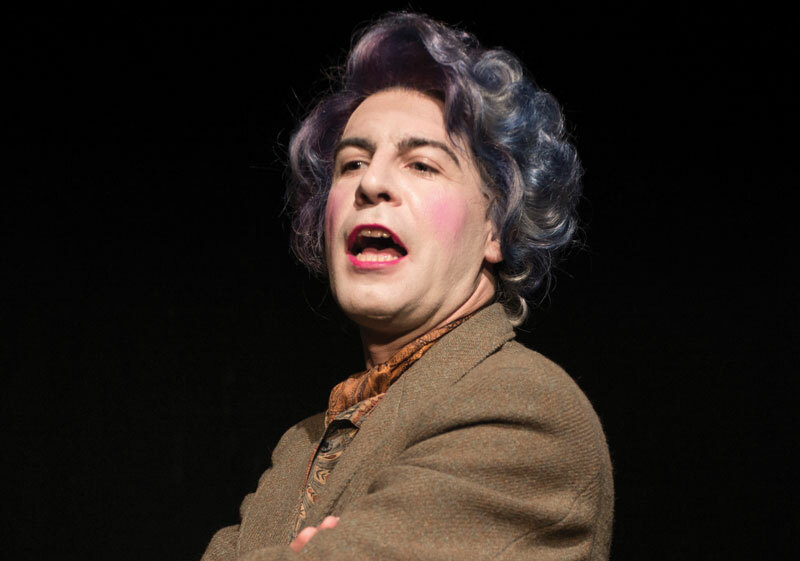 From a conventional Surrey upbringing to global notoriety via The Naked Civil Servant, Quentin Crisp was an extraordinary raconteur and wit. This new production, making its London premiere after an Edinburgh season, shows Quentin both in his beloved Chelsea flat as the 1970s dawned, and in his final years in his adopted New York, with the new millennium beckoning. The show draws on Quentin’s own writing and performances in a new script by Mark Farrelly, who also performs (West End credits include Who’s Afraid Of Virginia Woolf with Matthew Kelly). He is directed by the renowned Linda Marlowe, who has won awards for her own solo work such as Berkoff’s Women. The production premiered at the Edinburgh fringe 2014 and transferred immediately to the St James Theatre, London, prior to a UK tour.